BASKETBALL SPOTLIGHT NEWS: Basketball Spotlight AC Showcase 6th Grade Preview: Time For Some Action! Basketball Spotlight AC Showcase 6th Grade Preview: Time For Some Action! Can America's Playground Contain "The Lion"? The 6th Grade Division of the Atlantic City Showcase is loaded from top to bottom. There will be some fierce battles down in America’s Playground. Here’s a look at some of the top players and teams that will be in attendance. Team Durant: They have a new name but they still have the #1 player in the country in Zion “The Lion” Harmon. This will be their debut under the KD umbrella and they will be gunning for the title come Easter Sunday. New World Unlimited: Jaylen Hall, Ariel Goddot and Bray Freeman form one of the best trio’s in the nation. Now it’s time to show and prove on the national stage. This field is loaded with teams so we will see what they are hitting for. 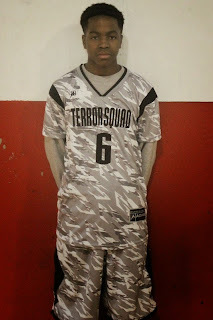 Philly Triple Threat: PTT is still riding high off of their championship win during Winter Warz, Khalil Farmer has moved over to IZOD, but Jalen Warley, Chris Evans and Zaakir Williamson remain intact. If these three can continue their hot play this squad could take home another crown. Team IZOD: Trey Patterson has returned and he’s vying for that #1 in the country slot. His supporting cast has truly beefed up with Donnell Harris, Justice Williams and Tristan Jeffries. Now you can add in newcomers Khalil Farmer and Kennedy Chandler. They might be the favorite to win it all. 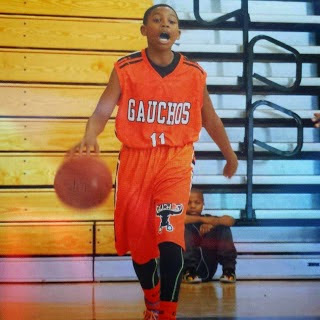 Gauchos: Malachi Smith introduced himself to the world after Winter Warz, now he will try to help the Gauchos conquer the tall mountain known as the AC Showcase. We have seen this team in action and know they will be ready to rumble. Team Takeover: Trevor Keels has proven to be one of the top players in the region. Now he will be trying to lead TTO to the AC Showcase crown. He should get plenty of help from Darius Johnson and Kino Lilly. B’More Finest: This is one of the toughest teams on the circuit. Rayaan Lane is the heart and soul for this squad running the point, Julian Reese plays big for his size and Christian Moore is oozing with potential. Team Final: We haven’t seen this group yet but word it they are loaded with talent. Team Final teams in the past always represented the Swoosh well. Therefore this group shouldn’t be any different. Hilltoppers Heat: The Heat knows it time to step up and get to that winners circle. There’s no bigger stage than the AC Showcase so hopefully they will be ready to rock. Also Keep An Eye On: Team Philly, NY Rens, DMV Elite and others.